Rabbi Yosef Gavriel Bechhofer, has served as a Rav, Rebbe and Rosh Kollel in Chicago and New York. He is one of the few individuals to have served as Maggid Shiurfor both Daf Yomi Bavli and Daf Yomi Yerushalmi, completing both. 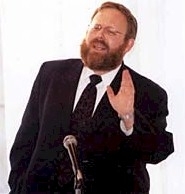 Rabbi Bechhofer has served as a Guest Maggid Shiur, Scholar in Residence, and Lecturer in numerous venues, including Georgia, Illinois, Indiana, Michigan, Minnesota, Missouri, Montana, Ohio, Ontario, New York, Tennessee, Washington, Wisconsin, Israel and England. He is a prolific author. His other published seforim are: The Contemporary Eruv: Eruvin in Modern Metropolitan Areas, the Bigdei Shesh al Masechta Bava Basra and the Bigdei Shesh on Sefer Shoftim. Well over one thousand tapes of his lectures and shiurim, are available. Rabbi Bechhofer learnt in many yeshivos, including Sha'alvim, Ner Yisroel and both Mirrer yeshivos. He received Semicha from Rabbi Yitzchok Koolitz, Chief Rabbi of Jerusalem, and Rabbi Zalman Nechemiah Goldberg, Jerusalem. He holds an M.S. in Education (concentration in Counseling and Guidance), Johns Hopkins University, Baltimore.